Ryan LaMothe is professor of pastoral care and counseling at Saint Meinrad Seminary and School of Theology. In Care of Souls, Care of Polis: Towards a Political Pastoral Theology(Cascade Books, 2017), LaMothe develops “a hermeneutical framework for analyzing systemic issues.” Rather than conceptualizing pastoral care as an individualized discipline, LaMothe places pastoral care within the frame of care and justice, describing and understanding its import as a political concept. In the first 4 chapters, LaMothe describes a conceptual framework for pastoral political theology, in chapters 5-8 he examines the macro issues of empire, neoliberal Captialism, class, and related issues which erode care and justice. He also suggests ways for the church to be an alternative polis. [P]olitical theologies, generally speaking, are concerned with how human beings organize themselves in time and space, as well as with how human beings survive and flourish. The political theological activities of reflection and action presuppose not only a particular religious mythos but also other knowledge systems (e.g. philosophy, human sciences) used to examine and critique political institutions, realities and issues of a particular societal context and era (22). LaMothe notes (following Daniel Bell) that if all theologies are political than pastoral theologies are as well, and he notes a number of ways political-economic realities impact pastoral care, “Domestic violence, adequate medical care, food insecurity, widespread incarceration and economic poverty and numerous other areas of concern, reflection and care are intertwined with political-economic factors, though these issues may not be in the foreground of pastoral theological focus” (22). LaMothe argues that the lens of care—not just for individual souls, but for the polis—enables to more readily see the political implications and connections in pastoral care. [A] political pastoral theology, grounded in the Christian mythos, aims to understand and assess current political-economic narratives, issues, institutions and structures, and to develop programs and policies that are themselves assessed and critiqued. A central interpretative framework for these aims is the notion of care, informed by the Christian tradition and the human sciences and aimed at the survival, flourishing and liberation of individuals, communities, society and the earth. Care of the polis necessarily includes a cooperation of diverse others, and thus a political pastoral theology must attend to the communicative practices of a society (29). In chapter 2, LaMothe considers the relationship between care and politics. He argues that care is aimed not just at a person’s survival, but at the flourishing of communities and families—the common good (47). He draws on the notion of kenosis (Christ’s self-emptying) as a model of care for the Other, and posits that for communities and society to flourish, the notion of care (whether pastoral care, government, NGOs, etc) is a necessity. An ethic of care is grounded in the ontological reality of creation, and human beings are cocreators particularly through recognizing and treating Others as persons. This cocreation of the space of appearances ideally occurs in parent-child relations, family relations, communities and societies. A viable polis, then relies on an ethics of care, and it is an ethics of care that grounds an assessment and critique of political-economic institutions, structures and policies (92). Kenosis is the difficult discipline of clearing the psychic room to make space for and welcome the Other in reverence and this psychic room is related to the space of appearances of the polis. The fruits of a kenotic discipline are humility and hospitality, which are key to redemptive discourse and its aims of inviting, revering, respecting and understanding the Other. 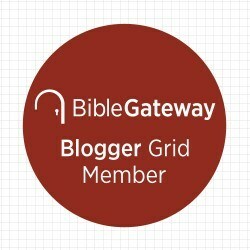 This is redemptive because it seeks to overcome alienation by inviting the possibility of real meetings between persons in the midst of disagreement (123). This recovery of redemptive speech is necessary if we are to find ways to care for our increasingly fragmented world. “We need a redemptive discourse that rejects the facile pleasures of self-certain total explanations that opts for the belief in and practice of just and caring speech in the face of hostility and hatred” (127). While Jesus grew up in a world where Roman imperialism was daily fare, his ministry, his way of being in the world, was not based in opposition to empire. In other words, Jesus’s public actions were not anti-imperialistic, but were alterimperialistic in the sense that Jesus offered an alternative, and this alternative is represented by the term kingdom of God. The kingdom of God is not in opposition to the imperium, at least in the direct sense. Rather, it is an alternative polis that has nothing to do with imperial practices. Indeed, imperial policies and practices are inconceivable in a kingdom based on love, compassion, care, mercy, justice and forgiveness (152-53). Chapter 6 describes the contributions of neoliberal capitalism to suffering in the polis and the subsequent distortion of Christian theology (à la the Prosperity gospel). Classically, Max Weber envisioned a robust Protestantism as both enabling the development of capitalism and restraining its acquisitiveness (173). That is, capitalism was subordinated to Judeo-Christian values and anthropology. However, under neoliberal capitalism, the engine of acquisition drives and distorts our theological understandings instead. Material wealth and success are seen as the signifiers of divine blessing. As a small polis, the ecclesia promotes, through liturgy, preaching, retreats, classes, and stories, the standards Christian virtues of faith, hope and love—virtues necessary for the care and justice. Indeed, the very notions of care, justice and the common good are tied to these virtues so that the notions do not become distorted by the values associated with the market society (i.e. with the commodification of care). Living as an altercaptialist community necessarily includes being deliberate about nurturing interpersonal relations and fostering a critical reflective stance toward the larger society so that community members and leaders are not co-opted by the hegemonic discourse associated with the values and expectations of the market. An altercapitalist community serves, then, as a countercultural entity by developing subjects with capacities for a type of critical thinking connected to caring virtues and for the kind of social relations that are personal. (196). Chapter 7 extends this political-economic analysis with a critique on classism, pointing to the example of the early church attempting to live as an alterclass community where all members were mutually cared for. “Yes, they failed, at least with regard to perpetuating this kind of community. But they succeeded in imagining a community that did not depend on or reproduce class” (229). Chapter 8 closes the book with a look at several relevant issues for a political pastoral theology: climate change, education, healthcare, the judicial system, the politics of exclusion. LaMothe writes as pastoral theologian teaching in a seminary; however, the notions of care for the common good, and the focus on macro issues which erode care and justice, makes much of what LaMothe says applicable to any community resistant to the dominant voice of U.S. Empire. LaMothe’s chief interlocutors are the gospels, Paul and Liberation Theology, but the concept of being alterempire (promoting an alternative to imperial and expansionists aims and advocating justice and care) is a word for activists of all stripes, faith traditions, and ideologies. While this book was published in 2017, and many of the issues raised here are relevant to Trump’s America our damaging long pedigree and the examples of U.S. Empire, Neoliberal capitalist distortions, classism, exclusion, etc, LaMothe cites are from an earlier era (Obama and before). Still, LaMothe’s discussion of self-aggrandizing totalizing speech and the need for redemptive discourse struck me as a particularly appropriate warning against our current polarizing political speech. LaMothe is sympathetic to radical politics and doesn’t interact as much with Protestant political theologies (briefly O’Donovan and Volf, no James K. A. Smith). Certainly, there are evangelicals that see a broad overlap of politics and pastoral ministry (e.g. David Lane, Mike Huckabee, Jerry Falwell, Jr), though they often are not as cognizant of the socio-economic impact of empire, class and economics which LaMothe highlights here. Notice of material connection: I received a copy of this book from Wipf & Stock books in exchange for my honest review. Cascade Books is an imprint of Wipf & Stock. I have not personally suffered from mental illness, but I have loved ones who have. It is hard to understand their pain. In the face of their struggle, I have no words. And the church hasn’t always responded well to mentally ill people. Sometimes this is due to a mistrust of psychology for its secular underpinning. Other times, profound emotional struggle is seen as evidence for a lack of faith. The result has been a good deal of isolation of and insensitivity toward the mentally-ill. Come Lord Jesus. ‘The World Health Organization has found that for every death due to war in the world, there are three deaths due to homivide and five due to suicide’ (27). And 84 percent of clergy have been approached for help by a suicidal person at some point in their ministry( 183). Suicide is a significant problem and if you have not encountered it directly, you likely know people who have attempted suicide or loved ones who have died because of it. Personally, friends of friends, classmates and the children of people I care about have committed suicide. I wish that any of their deaths could be prevented. Karen Mason, associate professor of counseling and psychology at Gordon-Conwell Theological Seminary, wrote Preventing Suicide as a guide for pastors, chaplains and pastoral counselors. While the book is titled ‘Preventing Suicide’ it does more than just give a few tips on how to help those with suicidal tendencies. This is a pastoral care manual which explores the issue in all its complexity. Mason examines who commits suicide (and why), myths and misconceptions and the variety of theological positions on suicide and theoretical frameworks. She provides practical advise for counseling those in a suicidal crisis, those who have survived an attempt, helpers and caregivers, the loved ones of those who have died from suicide and their churches. While you cannot presume pastoral wisdom from reading one book (and Mason wouldn’t want you to), this is a fairly comprehensive resource which will be helpful for anyone who engages in pastoral care to the suicidal and their families. Mason eschews approaches to suicide which compound the blame placed on the suicidal. The causes of suicide are various, and suicidal persons often suffer depression deeply. Trying to scare them away from suicide by threatening eternal damnation, as some Christian theologies posit, only compounds their sense of alienation. Often the hell that they feel and are trying to escape is more real and visceral than the one they are threatened with. Mason gives practical steps on how to empathize with the suicidal and validate the pain they feel, but she points ways to lead them from despondency to hope. She encourages attentiveness, taking threats seriously and dealing with them accordingly, and speaking the truth in love. As a seminary graduate still looking for a ministry position, I’ve attempted to widen my options of what I think ‘my’ ministry will look like. Before seminary, all my relevant ministry and life experience was distinctly urban. I worked with urban ministries in Atlanta, Miami and did part of my ministry internship with two churches in urban church in Vancouver, Canada. Three years have past since my graduation and I’ve found myself living in a small border town, far away from the lights of the big city. I do not know where I will end up, but this is where I am. Most days I pray some version of, “God what are you doing here?” as I seek to understand what he has in store for my life and ministry (and when I am frustrated I pray, “God what am I doing here?”). Since no urban churches are calling, I’ve begun looking at rural churches. To that end I picked up Practicing Care in Rural Congregations and Communities to explore the possibility of a rural call. What I discovered is that two of my guiding convictions in ministry, commitment to place and God’s heartbeat for justice, would serve me as well in the country as they do in the city. The authors of Practicing Care in Rural Congregations and Communities are all highly educated, and currently live in urban settings. However Jeanne Hoeff, L. Shannon Jung and Joretta Marshall all have experience living and ministering in rural settings and share from their wisdom, experience, and learned insight. Their purpose in writing this book is to enrich the ministry of care in both rural congregations and the wider church. They have listened well to the needs of rural communities and the peculiar challenges of that context. However wider applications are possible. They write, “Care is context specific, yet practices and principles are often appropriate across contexts. We believe that the rural context offers wisdom born out of an appreciation for its people’s unique gifts, as well as out of the limitations and peculiarities of what it means to be rural in the United States” (location 92, kindle edition). 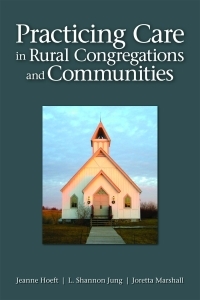 Most chapters of this book explore various case studies in rural ministry which illuminate the challenges rural congregations face. Small towns and rural parishes are small, tight knit communities, where members are involved in one another’s lives and secrets are poorly kept. Educated members of many communities move from the country to the big city. To be poor in these environments is to be vulnerable. There are not the same systems of care and safety nets that are available in cities. Beyond this, rural environments also tend to have a greater degree of domestic violence, alcoholism, etc. The gifts and challenges of any rural ministry is tethered to the peculiarity of that place and the gifts and challenges of the people who live there. Hoeff, Jung & Marshall case studies explore various dynamics, including the permission given to pastors to challenge community norms (as an outsider to the community), leadership, diversity in changing communities, socioeconomic difficulties, violence and health issues. These issues are not unique to rural environments, but they hit these areas in a different way than city folk experience. For example, the loss of a job in a small community is complicated by how intertwined everyone’s lives are. A woman or man who is no longer able to provide for their family has little recourse, social services are not as readily available. They also experience profound shame and isolation (i.e. a break in relationship between employer and employee is felt more acutely in a town of 35 people than in a city of 350,000). The authors of this book do a great job of identifying care issues, setting them in context, framing them theologically and offering guidance in how to offer sensitive care in that environment. Ministers serving in rural context will definitely benefit from the insights in this book. As will those, like me, who are still parsing the possibility of rural ministry. 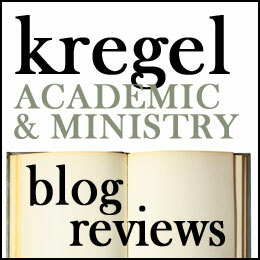 However, the sort of reading of the cultural context that Hoeff, Jung and Marshall do, is appropriate in any ministry context. This is a great book and has helped me be cognizant of several pastoral care issues, but it has also cemented the conviction that wherever I end up in ministry, I need to exegete the place and understand the community I serve. I highly recommend this book. Five stars: ★★★★★! Notice of Material Connection: I received a digital copy of this book from Augsburg Fortress through Edelweiss in exchange for my fair and honest review. Everyone I know keeps getting older. I am on my march towards middle age and have had no serious worries about my health. Older adults have to face the continual breakdown physically and mentally. Often this is the result of poor preventative care and unhealthy habits in earlier stages of life. As they age, they are dependent on medical professionals, family and church for care of their well being. Failure to plan ahead means, that seniors may receive expensive treatments they may not have wanted and family members may be forced to make difficult medical decisions for them. These are some of the issues that Christopher Bogosh addresses in The Golden Years: Healthy Aging and the Older Adult. Bogosh is a registered nurse who has worked in hospice care. He also has attended seminary and has worked in pastoral ministry. This dual emphasis on pastoral and physical care pervades the book. As a nurse who works with an older population, Bogosh is well aware of the health issues that older people face. His book explores healthy living, preventative care, healthcare management, and common and chronic health problems. He lays out the resources available to seniors under medicaid and the Affordable Care Act. He also underscores the necessity of planning ahead (i.e. writing a living will and talking to family members about your medical care before you totally deteriorate). Physical care and pastoral care go hand in hand. Part of caring for the senior soul is to make sure that their psychical well being is well cared for. Bogosh says this part really well. He also has an eye for seeing seniors ‘live out “the “golden years’ with the Glory of God in view” (125). Bogosh sees Christianity as answering the “then what?” question, as in “What happens after you die?” At the end of his last chapter he writes, ” Imagine enduring chronic health problems and a sensory disorders for many years only to die and go to hell–awful thought but according to biblical based Christianity we have to face this reality too” (124). So a big part of Bogosh’s wisdom for pastoral care is focused on the senior’s eternal destination. I agree with Bogosh that the truth of our eternal destiny is especially poignant when ministering to an older population cognizant of their limitations and mortality. What I wish was more explicit in Bogosh’s book was a section on spiritual health and older adults. Our seniors need “strength for today” as well as “bright hope for tomorrow.” I think that the dots could have been connected a little clearer between the physical medical care and spiritual care. I learned a lot from this book and I think that people who minister to and among the elderly will gain valuable insights. I have been privileged in the past to work with this population. I did visitation ministry with a group of seniors in urban Atlanta. As I sat and visited with these seniors, I was privileged to share in their struggles and pray for them. I also heard testimonies of decades of faithfully depending on God through all life’s circumstances. In our care for seniors, we have as much to learn from them as we have to give. Bogosh’s book does a great job of helping us frame the issues around health care and the elderly. If we follow his advice we will love our old well in service. But we honor them when we see that they still have gifts to give. Well this isn’t the emphasis in Bogosh’s book, he does share anecdotes of seniors he has known and loved well and learned from. Good Samaritan Books appears to be Bogosh’s own publishing venture (making this a self published book). One of the problems among many self published books, is that they suffer for lack of an editor. Not this book. It is well written and well executed. I give this book four stars. Thank you to Cross Focused Reviews and Good Samaritan Books for providing me a copy of this book in exchange for my review.